Hip-hop, Top 40, House, EDM, and Mash-ups. You just love the after hours property Drais but are growing weary of only partying at night. You've been working on toning your body and you really want to show it off, but with all of your late night bashes, you've barely been able to wake early enough to see the sun. All that is going to change, though, once you learn about Drais Beach Club. This establishment towers over any other beach or dayclub in Vegas, standing at eleven stories high atop the roof of The Cromwell hotel. Location is key and this spot allows for a unique experience. 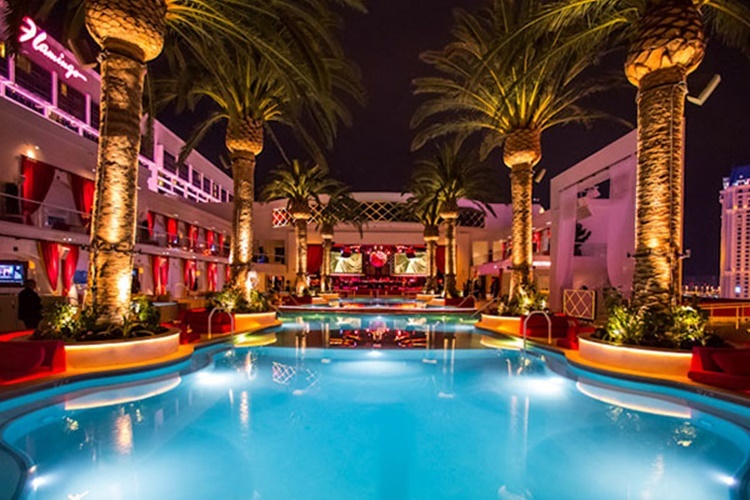 Drais Beach Club infuses everything there is to love about Drais After Hours with all of the great fun and entertainment of a popular day club. 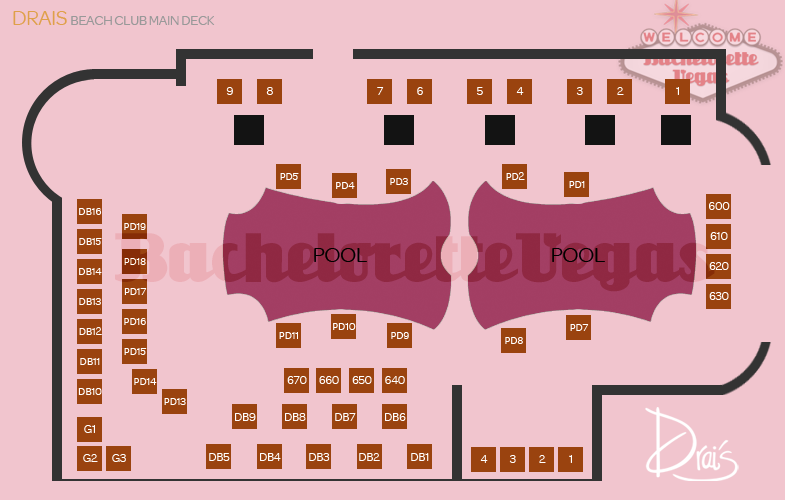 You will be able to party poolside with two raised pools on the main level. 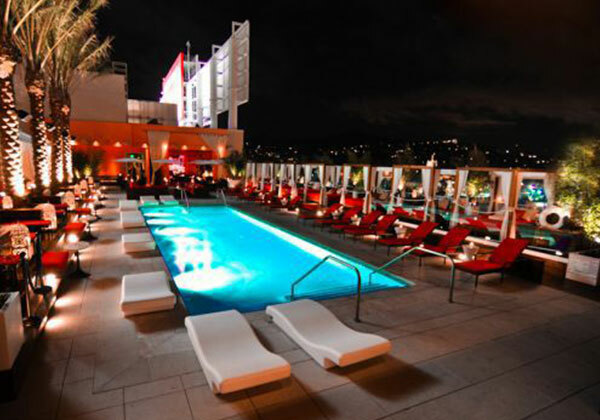 Whether you want to lay around and tan or show off your goods to the guys around, Drais is the perfect place to be. Resident DJ's fuel the party with massive bass while the bartender serves up cold beverages non-stop. 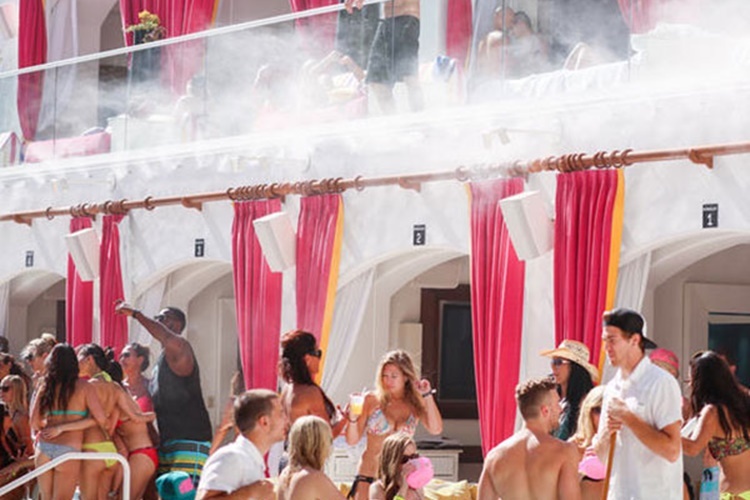 With an ever-flowing river of alcohol, it's no wonder the party at Drais Beach Club never stops. There may not be a dedicated dance floor, but that won't quell your urges to groove once the music is in full swing. Thankfully, there's nothing against grabbing a partner and dancing in the cool water. While the main floor of this beautifully constructed beach club with the amazing view houses the general public, an upper level plays host to a grouping of VIP cabanas and bungalows. The outdoor housing units are equipped with air conditioning, comfortable seating, and a private bathroom. Being on the rooftop of the Cromwell simply adds to the beautiful ambiance created from being 11-stories high. These private pools are mostly for Vegas' elite, as getting into the VIP section is far from cheap, but you can be a part of that elite with a simple phone call to us here at Bachelorette Vegas. One attentive customer service call later and you'll be partying with the best of them in your own private bungalow. 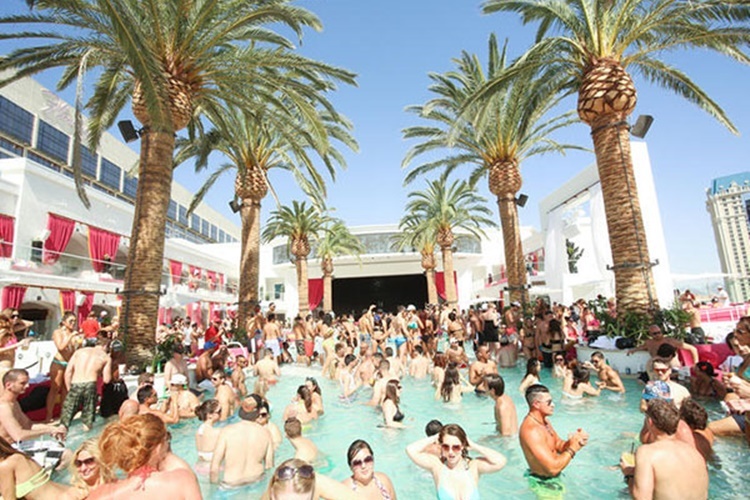 Drais may not have been born in the day, but it knows exactly how a dayclub party should go, From the energetic DJ to the pristine, crystal blue pools, there's nothing that this beach club doesn't offer. With Drais Beach Club, you'll never look for another party in town.